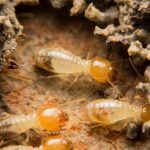 When subterranean termites build their colonies, they create mud tubes (or shelter tubes) as they move from the ground into structures and homes. Their mud tubes can appear in corners and joints between surfaces and allow the termites to travel throughout their growing colonies. 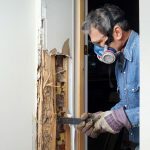 If you notice abnormal buildups or mud/dirt in strange places, it may be a sign that termites have made their way into your home. When termite season begins, swarms of termites take to the skies in search of places to build their colonies. Once they’ve found a suitable location, they will settle in and begin building – leaving behind their wings in the process. Keep an eye out for the discarded wings of termites; this is a good telltale sign that there may already be a colony nearby. While the wooden structure in the home may appear to be in good condition visually, on the opposite side, there may be damage hiding. 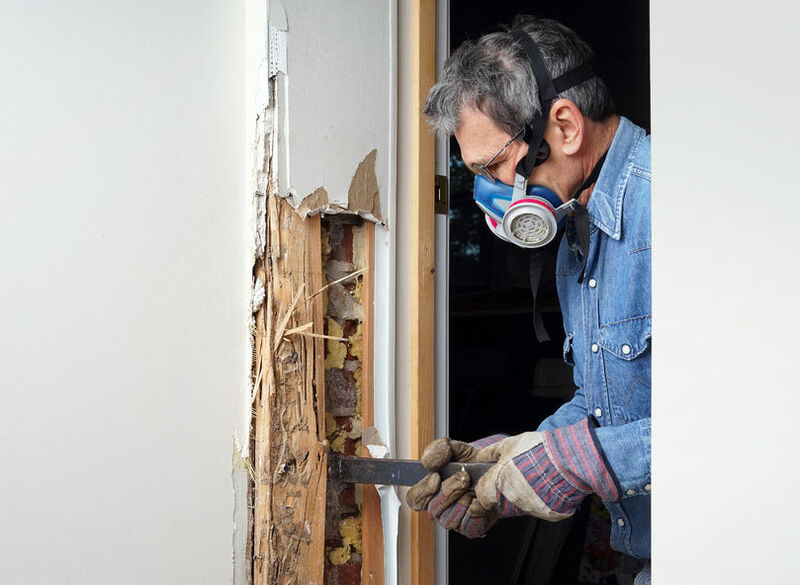 As termites prefer to be in dark, damp places, they very rarely let their work be visible inside of your home. 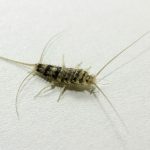 Just tapping on surfaces and listening for a hollow sound can be a good indicator that termite damage may be present. 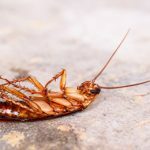 Termites produce a large number of droppings, referred to as frass when they are eating through wood inside of a home. These droppings accumulate in various areas and may resemble a pile of tiny bird seed at first glance. These methods are only accurate to an extent. 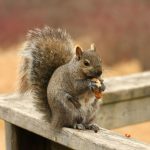 To truly know if you have an infestation, you need to consult the professionals. If you think you may have a problem or would like to schedule a free inspection, call us today!